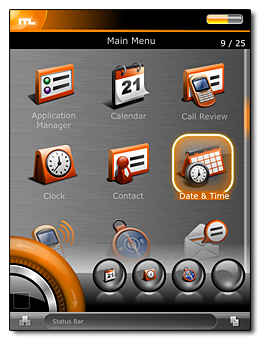 At last i have the time to write about this incredible mobile platform. OpenMoko is an open source mobile communications movement with a mission to create a platform that empowers people to customize their phone, much like a computer, in any way they see fit. It is a platform that focuses on innovation, usability, reliability and quality. 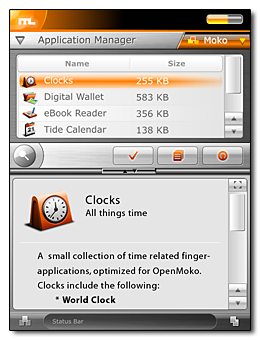 Because OpenMoko is based on the latest Linux, developers now have an easy way to create applications and deliver services that span all users and provide a common â€œlook and feelâ€. OpenMoko also offers common storage models and libraries for application developers, making writing applications for mobile phones fun and easy while guaranteeing swift proliferation of a wide range of applications for mobile phones. With such extremely high quality open frameworks, developers will be armed with exactly the tools they need to revolutionize the mobile industry. 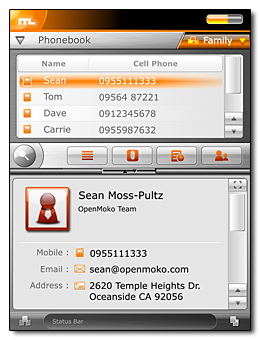 The name OpenMoko means Open as in Open Source, and Moko stands for Mobile Kommunikations. 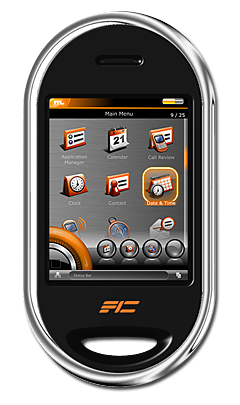 The first mobile phone that will use OpenMoko platform is FIC Neo1973. In the future maybe I could install LAMP on my mobile phone, use gaim for instant messenging and run the command “ipkg install” in my mobile phone And hoping the upcoming devices will include 3G and WiFi features. Sayang gak ada Wi-Fi nya. Kalo pake Linux murah gak yahh???? iya sayang blum ada Wi-Fi dan 3G, mungkin di devices berikutnya sudah di implementasikan. Harganya sih sekitar $350 hehehe…. wah,keren banget ya!baru satu hape itu aja ya?vendor2 besar lain pada bakal ikutan juga ga ya?..nice info,thx! hmm sepertinya vendor-vendor besar lain belum tentu pada ikutan, mungkin yang ikutan itu vendor-vendor yang belum benar-benar settle. 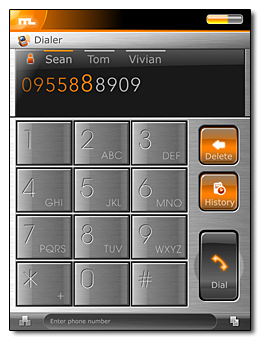 Misalnya Nokia pasti akan tetap mengembangkan Symbian OS nya.